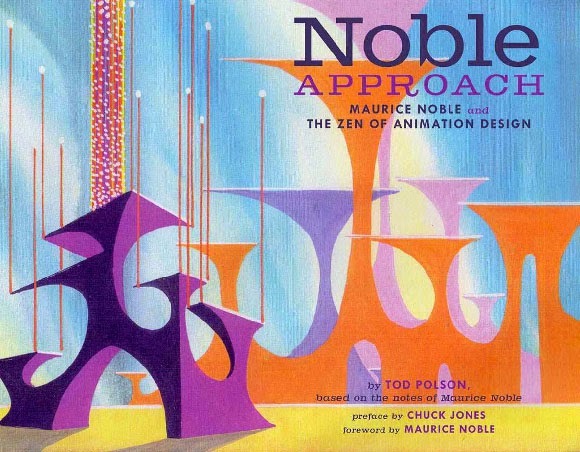 As the first anniversary of The Noble Approach: Maurice Noble and the Zen of Animation Design draws near... great reviews are still coming in for the book! This time from Patrick A. Reed of Comics Alliance. Labels: animation design, chuck jones, Color design, color scripts, Disney, Maurice Noble, the noble approach, Tod Polson, warner bros. Above: One of the trailers from the book of life. Things have been fairly quiet here on the blog for the last year. Besides some health issues, promoting "The Noble Approach," having a new baby and moving to Korea... I was busy helping director Jorge Gutierrez put together his first feature film at Reel FX in Texas... "The Book of Life." Unfortunately I am unable to show any of my own artwork for the movie at this time... but there is plenty of eye candy from me and the amazing crew in the upcoming Art Of Book of Life. There is also some tasty treats on the official website by art director Paul Sullivan.